The rumors were true: Apple really is hosting another of its flagship events on September 10, and all signs point to its using the occasion to unveil at least one new model of iPhone. My colleague Dan Moren and I have already made a slew of predictions about what new iPhones might look like. But what else might be on the docket? And what’s definitely not going to happen? The iPad and the iPhone have plenty in common, so a case could be made for unveiling new versions of both iOS devices side by side. But one of their many commonalities is that both devices garner significant media attention when new versions are unveiled, and Apple would prefer to have that press spotlight shined upon itself twice instead of just once. The iPhone now owns September on Apple’s theatrical schedule, but watch this space for an iPad event in October—just in time for the ho, ho, holiday season. 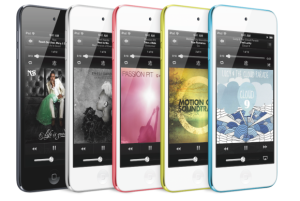 A year ago, Apple debuted all sorts of new iPods. It seems as if each year the iPad nano scores a significant facelift, each year the iPod classic is on the chopping block, and each year the iPod touch receives an update to make it more like the latest iPhone. Any new iPhone will (rightly) get the lion’s share of the attention, but new iPods are almost certain to be on the September 10 agenda, too. 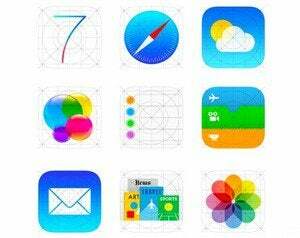 Last year, Apple unveiled iTunes 11. It’s probably too soon for iTunes 12, but it may be the perfect time for Apple to release a version of the app that supports the iTunes Radio feature coming in iOS. And if we’re really, really lucky, perhaps the update will make iTunes’s weird Up Next feature work less bizarrely. But let’s not hold our collective breath on that one. At its September 2012 event, Apple first showed off EarPods, an updated version of its iconic white headphones, which Apple says will fit your ears better and my ears say won’t. Is there room for a second iPhone accessory update in two years? Lightning is obviously the cable connection of the future, so it’s not going anywhere. The one innovation Apple might unveil next Tuesday that would get at least this reporter fired up would be a version of the Lightning cable that wasn’t too short for every conceivable purpose in the world. I would give a 6-foot, official, Apple-branded Lightning cable five mice, sight unseen. We already know that a new Mac Pro is coming. But it’s not the kind of thing that Apple would host a special event to unveil—the company already took the wraps off the round Mac at WWDC this year—so instead it will likely get a special mention at whatever Apple event occurs nearest the big Mac’s release. It wouldn’t be crazy to get an update on that Mac next week. But it might get power users so excited that they forget about any iPhone announcements. With iOS 7’s release just around the corner, expect an extended rehash of its features. Maybe Apple will announce a minor new feature or two to spice things up, but most likely, the company will simply take the opportunity to remind its captive audience about all of the flagship features that the upcoming version of iOS will contain. Apple released the beta version of iOS 7 to developers first for the iPhone, and only later for the iPad. Don’t be gobsmacked if Apple announces that iOS 7’s official release will similarly hit the iPhone first, and the tablet some weeks later. Such an announcement might also mean that new iPads will be coming later this fall. Outgoing Microsoft CEO Steve Ballmer may be looking for a job, but I’ll guarantee you that he’s not coming to work at Apple, so no such announcement will be made at Apple’s Tuesday event. Macworld, of course, will have live coverage of Apple’s event on September 10.